North-east Conservative MSP Ross Thomson has hit out at Scotland’s surviving first ministers, claiming they are out of touch with ordinary people in their homeland. 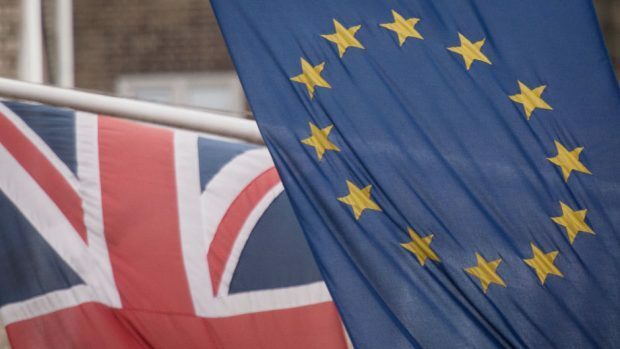 The Aberdeen city councillor criticised a joint statement issued by the quintet – Henry McLeish, Jim Wallace, Jack McConnell, Alex Salmond and Nicola Sturgeon – in favour of the UK remaining in the EU yesterday. Vote Leave campaigner Mr Thomson maintained that all it did was remind voters how far removed the political establishment were from their lives. He added: “They keep saying we shouldn’t worry about the future of our country, we shouldn’t worry where we send our hard-earned taxes, we shouldn’t worry who makes our laws, and that we should not worry about the impact of uncontrolled EU migration. He raised his concerns as a group of political leaders, former prime ministers, experts and campaigners from different walks of life united behind Vote Remain. Former Labour prime minister Gordon Brown insisted there was “no road to the future that does not go through Europe” if the UK wanted to create more, better-paid, high-quality jobs. His predecessor Tony Blair asserted the country faced a historic choice “between prosperity, influence and security” in the EU or “a reckless leap in the dark and years of damaging uncertainty”. Sir John Major said it was “patriotic” to work with others to ensure the UK’s security, improve its economic well-being and carry Britain’s influence around Europe and the world.